Singapore-listed property developer Oxley Holdings is in the final round of negotiations to sell a 300-year lease of an eight-storey waterfront office building (Block D1) at mixed-use project Dublin Landings. It is jointly developing the €835-million ($1.36-billion) Dublin Landings with Irish property firm Ballymore. Oxley bought a 300-year lease on the 2.35ha Dublin Landings site from Irish state-established property company National Asset Management Agency (NAMA) in December 2014. 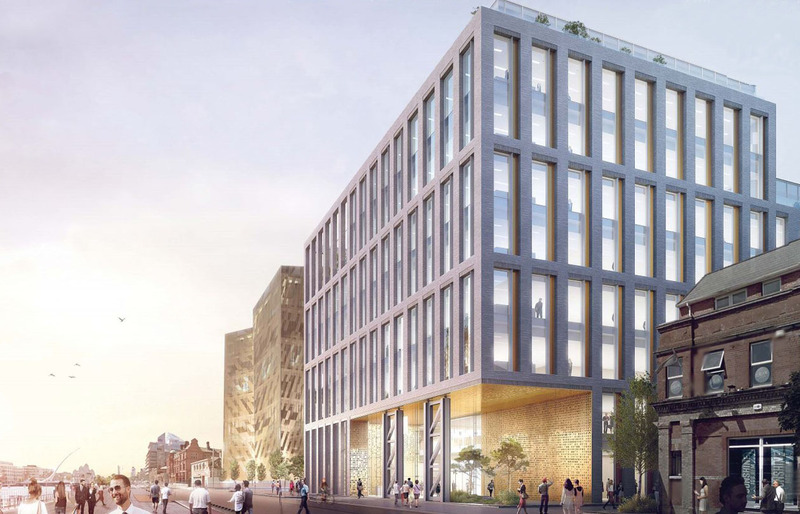 Located next to the new headquarters of the Central Bank of Ireland, Dublin Landings will have 700,000 sq ft of Grade-A office and retail space and 273 luxury apartments when completed. Construction on Block D1 is slated for completion in May 2018. NAMA has leased all 220,000 sq ft of space within Block D1 for the next 25 years. The other office blocks (D2, A, B, and E) will be progressively completed between May 2018 and 2Q2020. Oxley says it plans to sell all five office blocks.